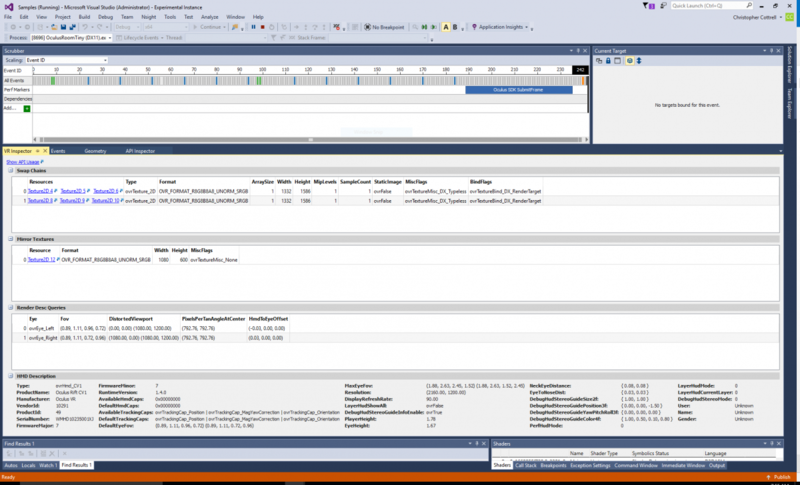 For graphics developers looking for a standalone development tool, please see Nsight Graphics. 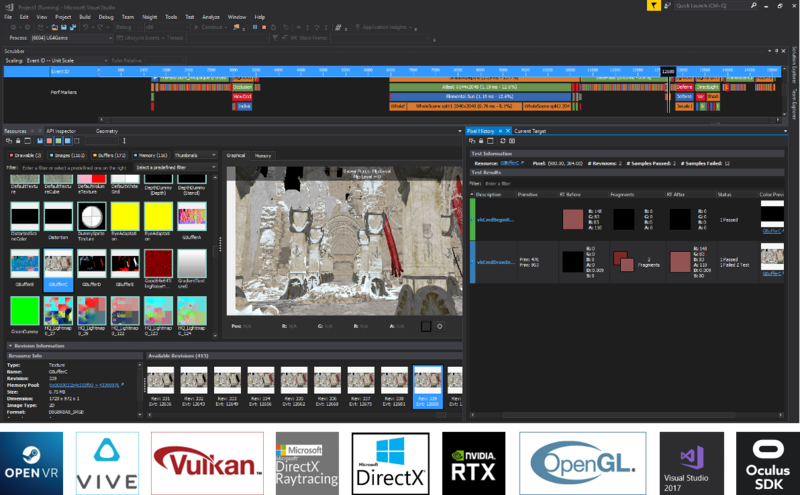 NVIDIA® Nsight™ Visual Studio Edition brings GPU computing into Microsoft Visual Studio (including multiple instances of VS2017). 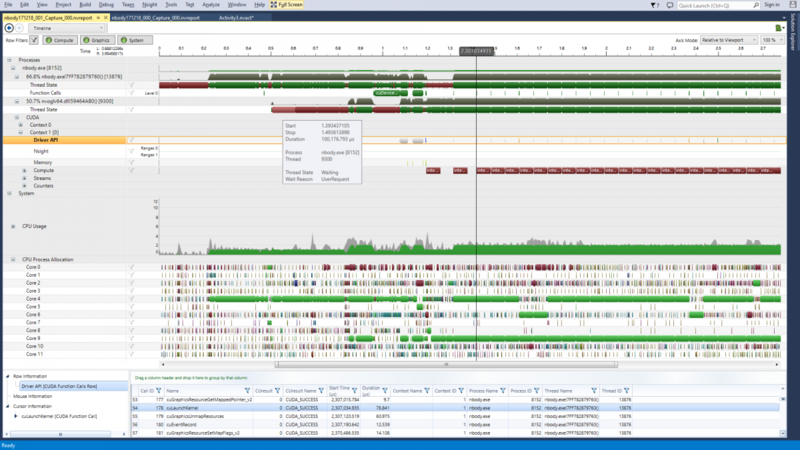 This application development environment for GPUs allows you to build, debug, profile and trace heterogeneous compute, graphics, virtual reality, RTX, .NET, and UWP applications built with CUDA C/C++, OpenCL, DirectCompute, Direct3D (11, 12, DXR), Vulkan (1.1, NVX Vulkan Raytracing Extension), OpenGL, OpenVR, and the Oculus SDK. 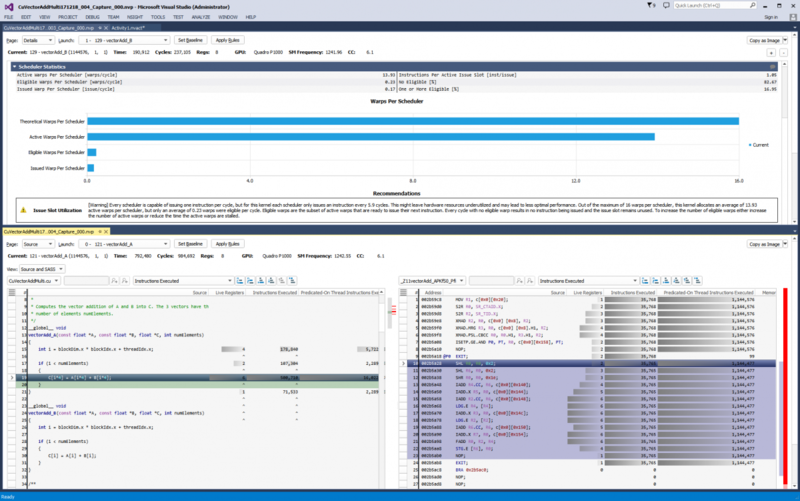 Please visit Nsight Visual Studio Edition 2019.1 - New Features for a listing of the new features of the 2019.1 release. "Thanks for that wonderful tool. It is one of the best graphics tools for PC!" "By the way, the new UI is awesome. 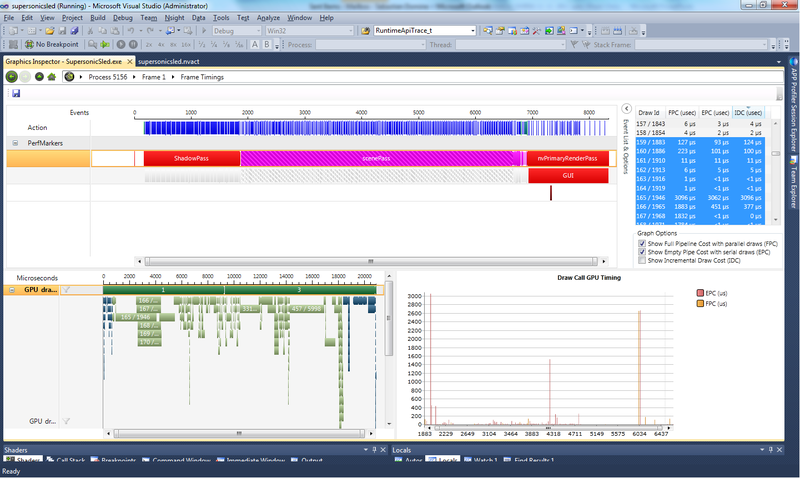 I love that I can see the event timeline, GPU timing, as well as parallel draw times all in one view. Don't change it! 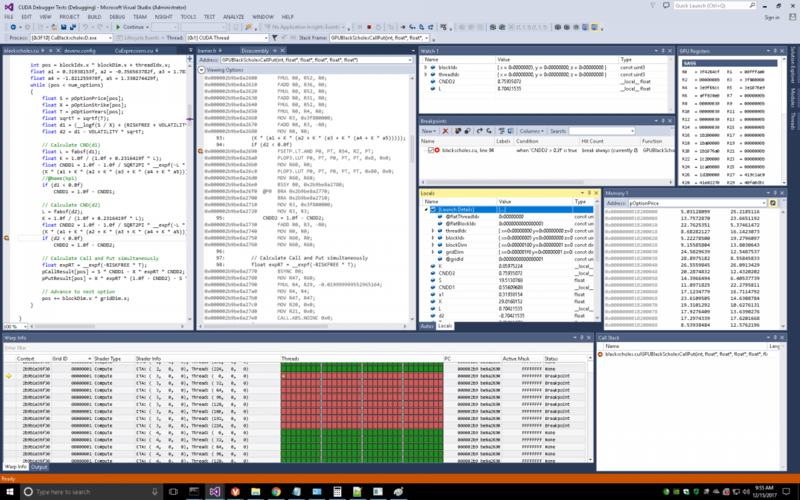 :)"
"NVIDIA Nsight Visual Studio Edition is a terrific tool for both debugging and analyzing the performance of your shaders and graphics code. 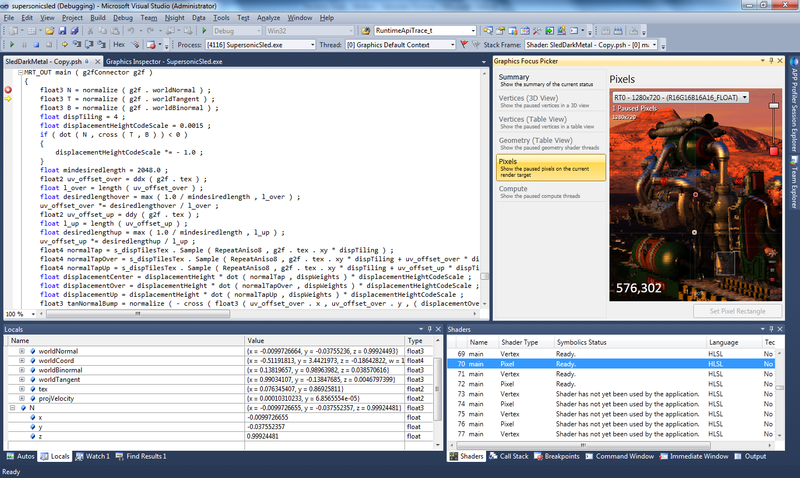 My favorite feature is the powerful shader debugger and the way it integrates into Visual Studio. It has improved my workflow to the point where I almost don't know how I can write graphics code without it." Shows the pre-transformed geometry from the state of the Direct3D or OpenGL machine. Show parameters for the current draw call. 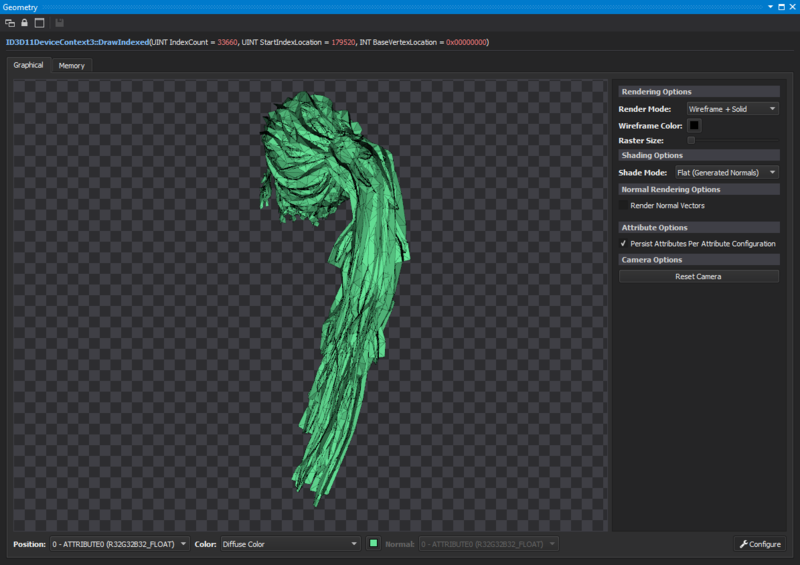 Select shade mode, draw attribute index, or reset the camera. Automated detection of vertex buffer data errors.